Their main application is measuring and totalizing of bulk material flow. The measured values obtained can serve as control input for downstream process steps. 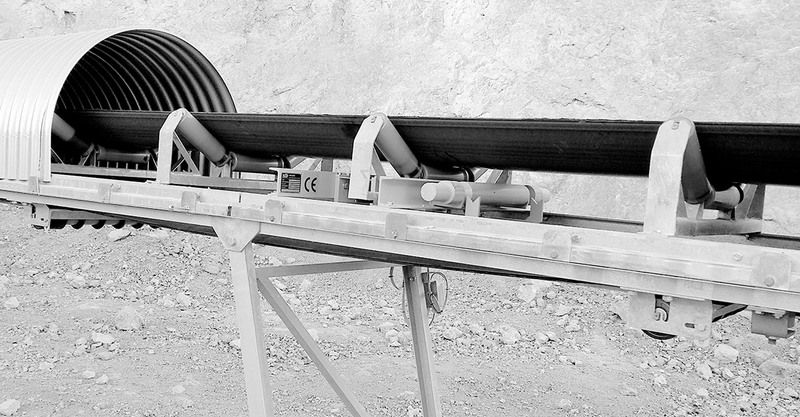 The decision whether to apply a single roller belt scale (EBW-E-…-…) or a multiple roller belt scale (EBW-M-…-…) depends on the speed of the conveyor belt as well as on the required accuracy. Scales of the series EBW-E-C2 are suitable for installation into existing conveyor belt systems. They are used for measuring and totalizing of bulk material flow. For the weight measuring a modified roller station is mounted onto the single roller belt scale. For the speed measuring a digital tacho is provided which is either running on the return belt or attached to the tail pulley. Optionally the scale can be equipped with a test weight device, which serves for a quick and easy checking of the weighing accuracy. Multiple roller belt scales of the series EBW-M-C2 are suitable for installation into existing conveying belt systems. Their main application is measuring and totalizing of bulk material flow. For the weight measuring two modified roller stations are mounted onto the scale. The multiple roller belt scale is applied for very high accuracy requirements and if the belt speed is very high. For the speed measuring a digital tacho is provided which is either running on the return belt or attached to the tail pulley. Optionally the scale can be equipped with a test weight device, which serves for a quick and easy checking of the weighing accuracy. 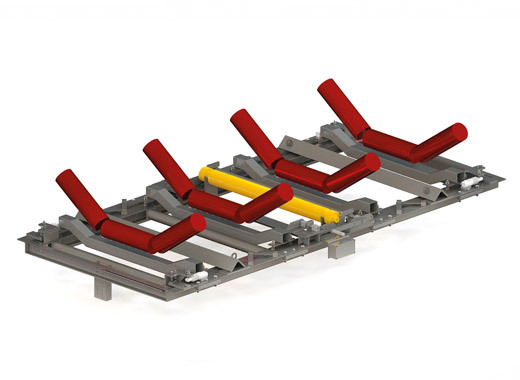 Multiple roller belt scales of the series EBW-M2 are suitable for installation into existing conveyor belt systems. They are used for measuring and totalizing of bulk material flow. 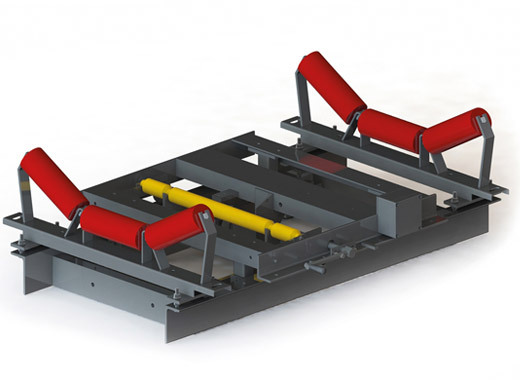 For the weight measuring two modified roller stations are mounted onto the belt scale. The transmission of the load to the load cell is done by a leverage. By that very stable conditions are created. The multiple roller belt scale is applied for very high accuracy requirements and if the belt speed is very high. For the speed measuring a digital tacho is provided which is either running on the return belt or attached to the tail pulley. Scales of the series EBW-M4 (M3) are suitable for installation into existing conveying belt systems. They are used for measuring and totalizing of bulk material flow. The multiple roller belt scale is applied for very high accuracy requirements and if the belt speed is very high. The transmission of the load to the load cell will be conducted by leverage or the weighing bridge is mounted on several load cells. For the speed measuring a digital tacho is provided which is either running on the return belt or attached to the tail pulley. 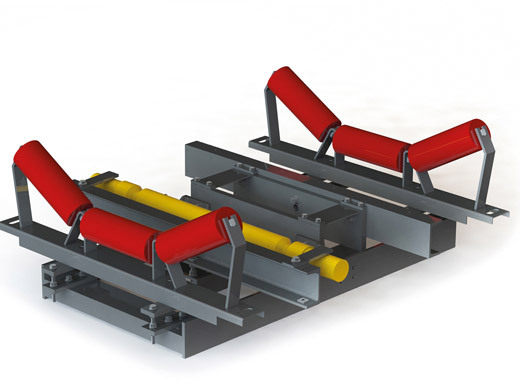 Multiple roller belt scales of the series EBW-M-R-ø are constructed specifically for an installation into existing „pipe conveyors“. 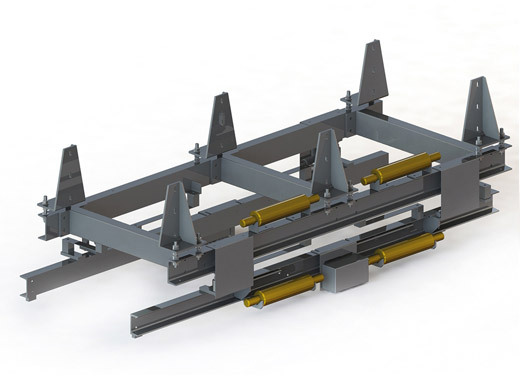 The modified roller stations are beared over a roller station bridge onto the load cells, therefore this type of scale can also archieve a high precision. They are used for measuring and totalizing of bulk material flow. For the speed measuring a digital tacho is provided which is either running on the return belt or attached to the tail pulley. 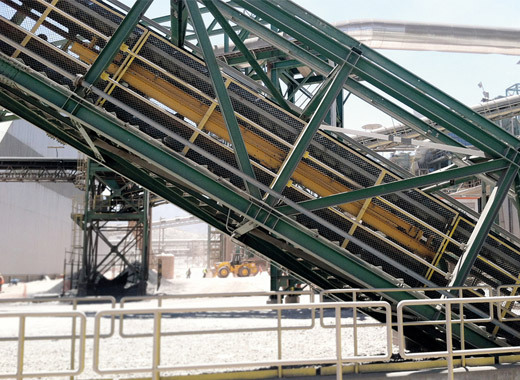 The built-in belt scale is integrated into an existing apron conveyor. It is mainly used to measure the clinker production directly after the kiln. 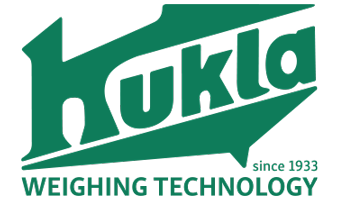 The rail system where the single plates are moved by wheels is fixed on the KUKLA-scale. 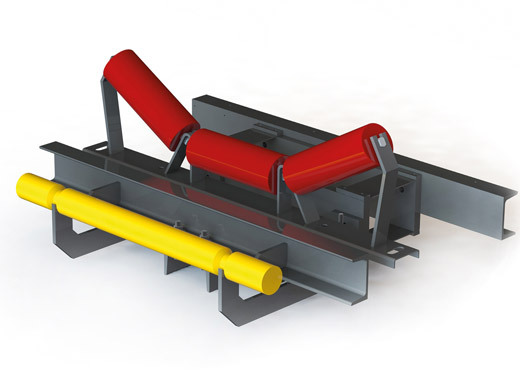 Because of the stable construction, it is possible to install the belt scale for apron conveyors in plate conveyors of up to 40 degrees inclination. Suitable for materials with high temperatures.